Dusit Thani Laguna Phuket has been ranked 7th of Thailand’s Top 10 Family Resorts 2014, according to a reader’s choice survey conducted by Holidays with Kids, a leading Australian family travel publication. This is the third consecutive year that the property has been named to the list. “We are delighted to hear that our resort is considered a luxurious yet family-friendly destination once again,” said Mr Denis Thouvard, General Manager. “This wonderful news acknowledges the high-quality products and services we strive to offer the families staying with us. A special thank you to the Busy Bee Kids Club and our entire team who deliver quality service from check-in to check-out,” continued Mr. Thouvard. Busy Bee Kids Club consists of a Kids Club, game room, arts & crafts room, library and playground where children are treated as special guests from arrival through to departure. Its ‘7 Days Many Ways’ programme is designed to entertain little guests aged four and up every day – from souvenir-making classes and arts & crafts to Batik painting, tie dying and sand art bottle decorating. 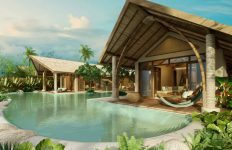 The resort also provides fundamental sport programmes and activities such as windsurfing, sailing, tennis lessons, mini golf lessons, Thai boxing and yoga. For those planning to travel with the whole family to Phuket, the Family Getaways package has been updated so that the kids stay and eat for free! 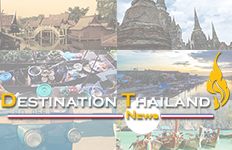 In addition to this, Dusit Thani Laguna Phuket teams up with the local attractions at Baan Teelanka (also known as the upside down house and maze garden) as well as the Phuket Trickeye 3D musuem to offer guests 25% off entry fees. These added extras are in addition to the standard Family Getaways package inclusions of: 50% off the second room reserved for children, connecting rooms where available (or complimentary upgrade to Suite category), breakfast for family of four, soft drinks and fruit juices for children under 12 years of age at poolside and special turndown service with milk and cookies for kids. Family-friendly Deluxe Lagoon View Rooms is start from THB 5,250+++ per room per night. For more information, please contact our reservation team on email: dtlprsvn@dusit.com, by phone on +66 (0)76 362 999, or by visiting www.dusit.com/offers.